Patia, Piri and Wilson will attend the four day course to be followed by a practical sessions where they will be observed and assessed with a view of identifying potential candidates for the upcoming Pacific Games – New Caledonia and 2014 FIFA World Cup as well as for OFC tournaments from 2012-2014. Fitness training has been a priority for the trio referees to ace the upcoming course in Auckland and to impress the selectors. “This is another great opportunity for me and my colleagues Wilson and Piri to prove to the OFC Referee selectors that we are determined to be selected to go to the Pacific Games to officiate in the football tournament”, says Patia. 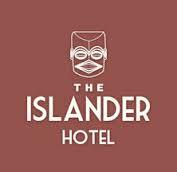 According to Lai Gukisuva chairman of the CIFA Referee committee all three candidates have shown commitment and determination for a possibility to be selected to officiate not only at the Pacific Games in New Caledonia but at any OFC tournaments that may take place 2012 through to 2014. 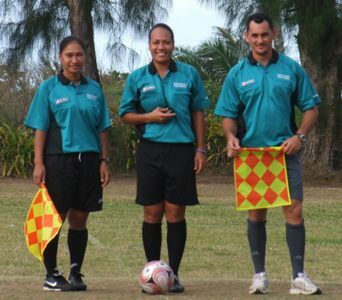 The trio referees have shared national experiences at officiating at the OFC Women’s Under 20 – January 2011, OFC Women’s Under 17 – April 2010 and the OFC Women’s Nations Cup – September 2010 where all tournaments were held in Auckland, New Zealand. Previous Post “CIFA reps attend 5th FIFA Women's Football Symposium"
“CIFA reps attend 5th FIFA Women's Football Symposium"